Is there a shortage of eggnog or something? I can’t find it in any of my local grocery stores and they ALWAYS have it the week before Thanksgiving. I’ve only managed to find it at one gas station and at Walmart. It’s very strange and as a lover of eggnog, I’m a bit concerned. Of course, it’s not difficult to make your own, but still, it’s great when you can just pick up the already made bottle of it and go about your business. 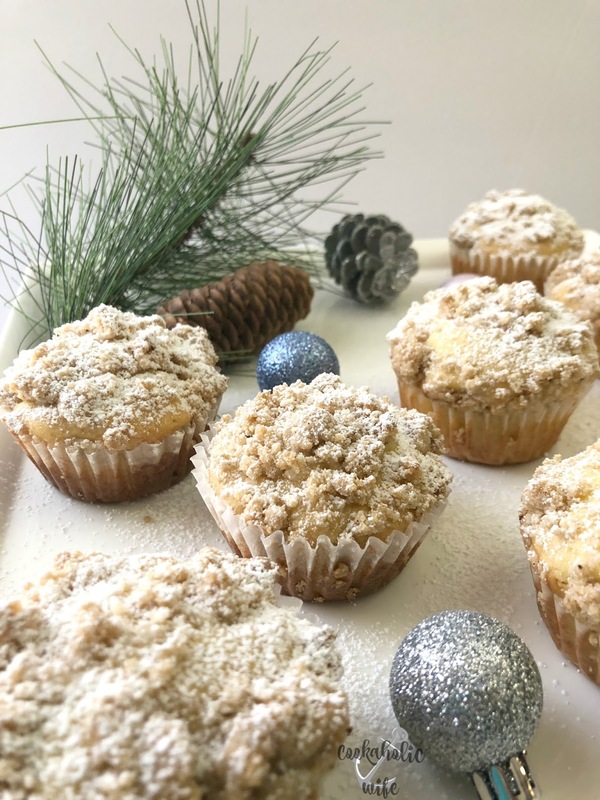 My business, in this case, was making a super rich muffin, topped with a crumb topping and then a sprinkling of powdered sugar, because why not? 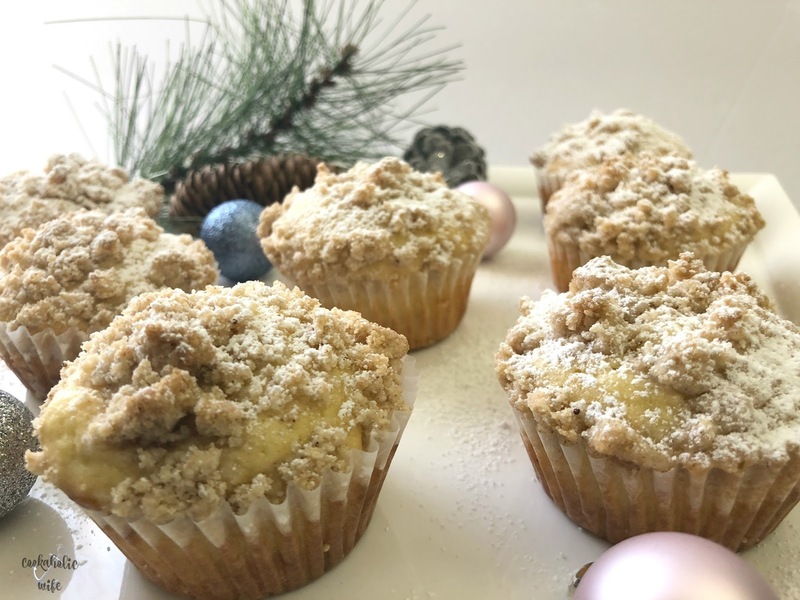 Crumb muffins are full of festive eggnog flavor. Preheat the oven to 375 degrees. Line muffin pans with paper liners. In the bowl of your stand mixer, add the eggnog, butter, eggs and vanilla and mix on low speed. In a medium bowl, whisk together the flour, sugar, baking powder, cinnamon, nutmeg and salt. Slowly add in the flour mixture to the eggnog mixture until just combined. Scoop batter into the prepared muffin pans, filling each halfway full. Prepare the crumb mixture by whisking together the flour, brown sugar, cinnamon and salt in a bowl. Add in the butter and use two forks or a pastry cutter to mix the butter into the ingredients, until it forms a crumbly mixture. Add the crumb mixture on top of the muffin batter. 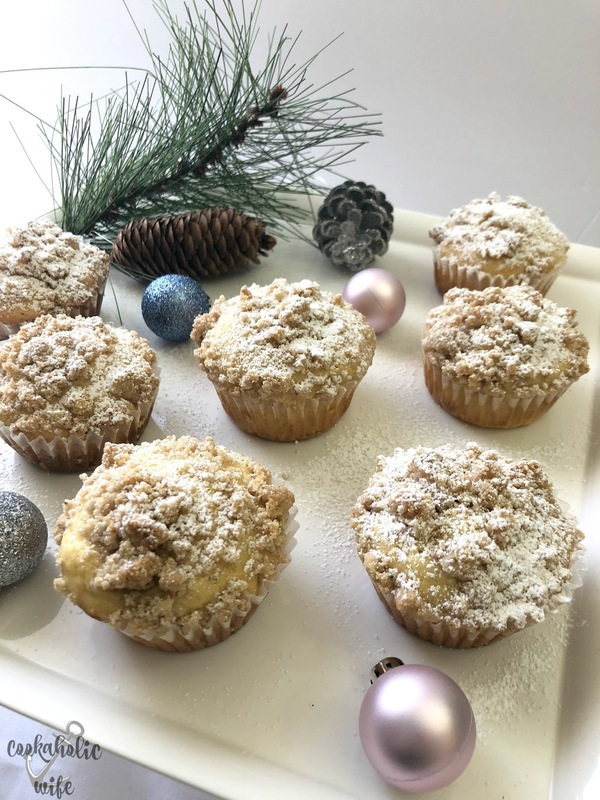 Remove from the oven and allow muffins to cool in the pan for 5 minutes before transferring to a wire rack to cool completely. Sprinkle powdered sugar on top. Muffins will keep for 2-3 days in an air-tight container. Not only are these muffins pretty, but they’re delicious as well. 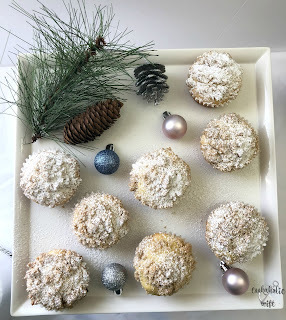 These muffins look perfect! 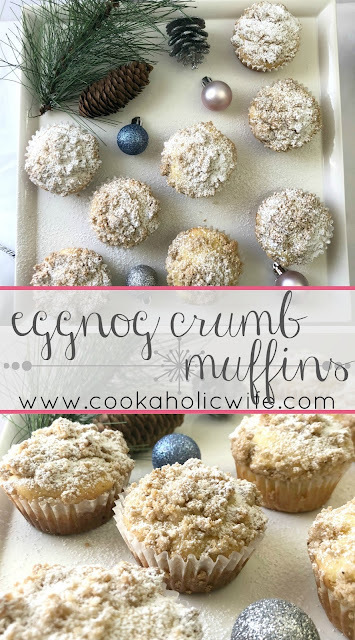 Great eggnog recipe! 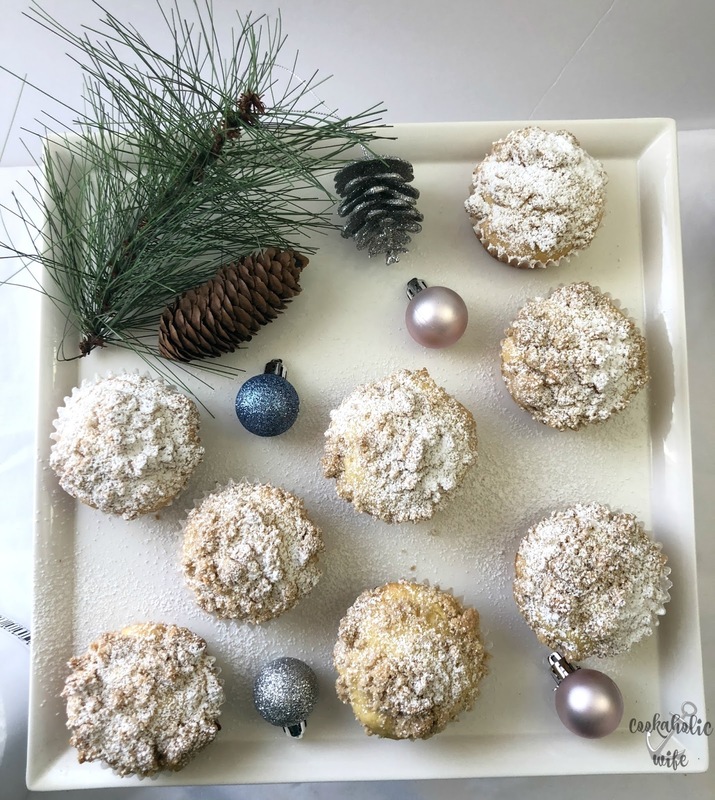 Great looking muffins Nichole and will be a great use for that eggnog that is left in the fridge after the holidays. Eggnog shortage? Oh no!!! Thank goodness you found some =) these look tasty.